It may be feeling distinctly autumnal right now, but if you’ve planted dahlias the good news is they will keep on flowering right through to the first frosts. There’s just one catch: to prolong flowering you will need to keep deadheading them, thereby encouraging the plant to produce new buds. The only problem is it’s not always easy to distinguish a spent dahlia head from a new dahlia bud. And you don’t want to be snipping new buds off! Spent dahlia head or new bud? If you spot an ageing flower early when there are still a few wilted petals visible, then there’s no problem. Snip it off. The difficulty arises when the old dahlia flower has lost all of its petals. 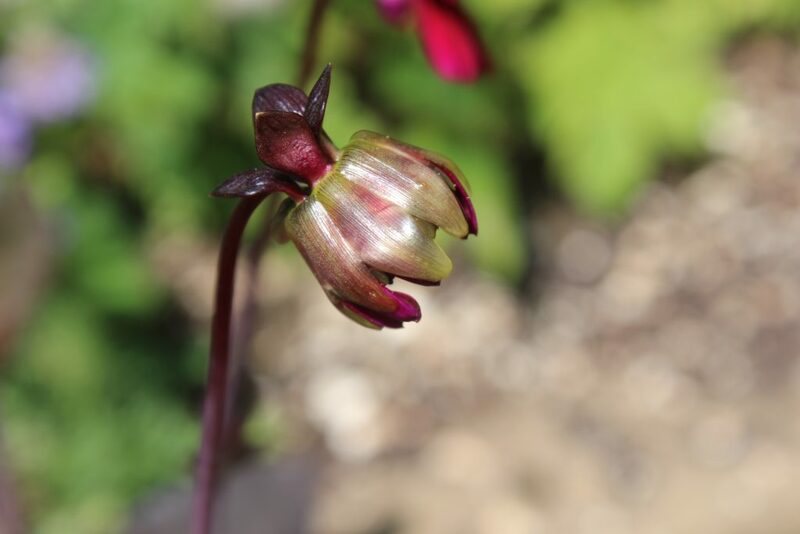 The hard bulbous part at the base of the flower (the calyx) then closes over to form what looks remarkably like a bud. 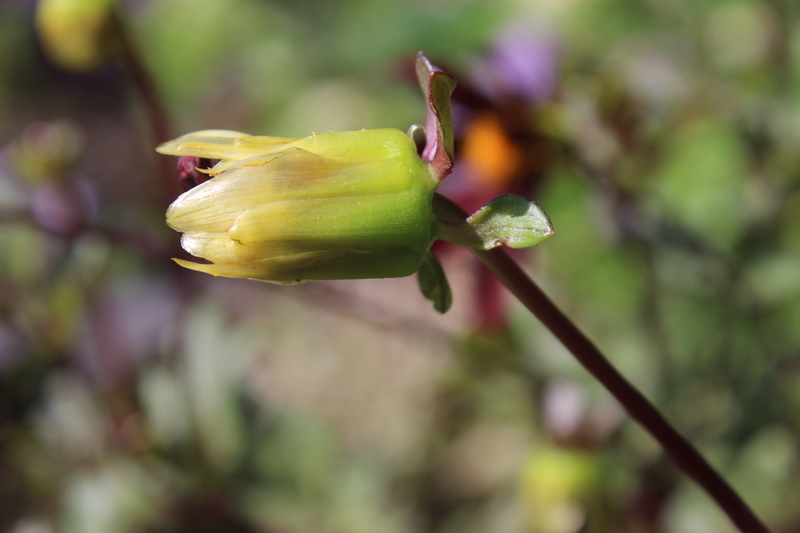 However, you can tell the difference between a spent dahlia head and a new dahlia bud by the shape. A spent dahlia head is slightly conical, almost pointed (as in the example above), whereas a new bud is a more compact rounded shape (as in the example below). If you give a new dahlia bud a squeeze it will feel firm and you may be able to see the compressed petals within waiting to explode out into a fully formed flower. If you squeeze a spent dahlia head, it will feel squishy. Once you’ve identified the right heads to remove, make sure you trace down the old flower stem and cut it off where the stem intersects with a leaf. 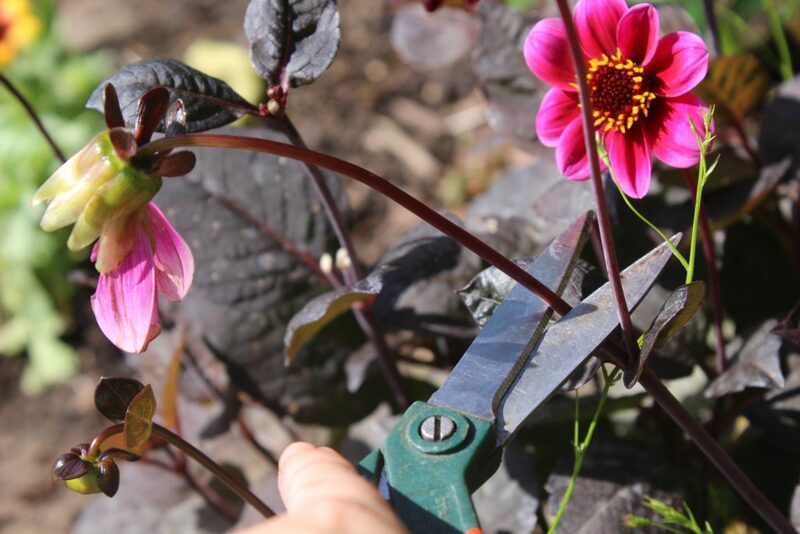 If you cut it off directly under the dead flower head you will be left with an unsightly flowerless stem. Multiply this by several flowerless stems and your plant will start to look quite ugly. Keep it trimmed down and you will have a neat bushy plant. It’s amazing how quickly new buds form, flower and die, so deadhead your plant as often as you can. 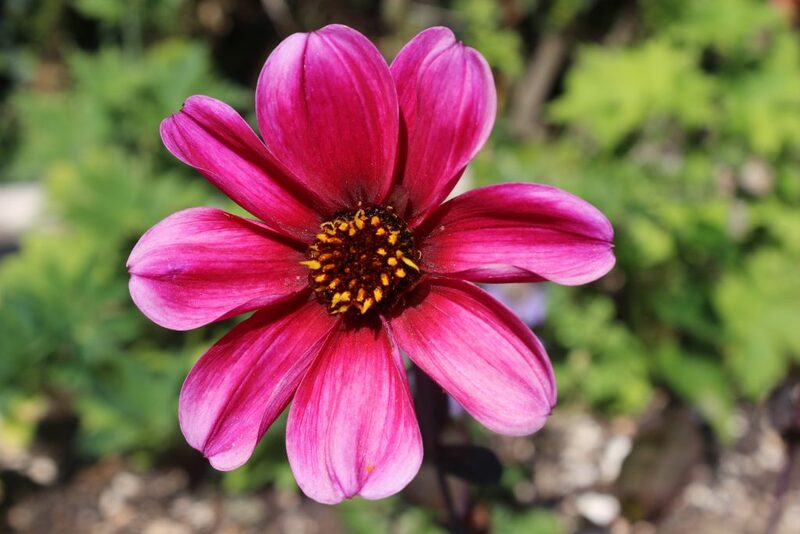 Your dahlia will reward you with a stunning supply of colourful blooms late into autumn or even into early winter. 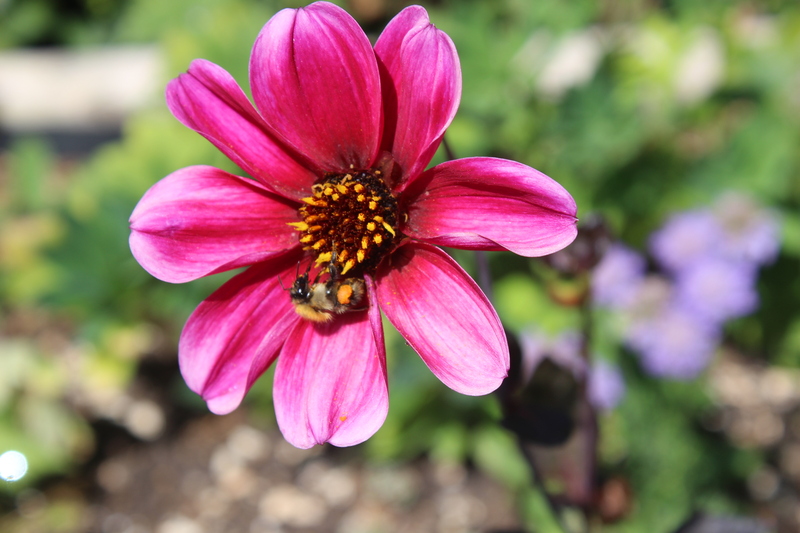 And if you have chosen a bee-friendly variety it will be a source of much-needed nectar late into the year.